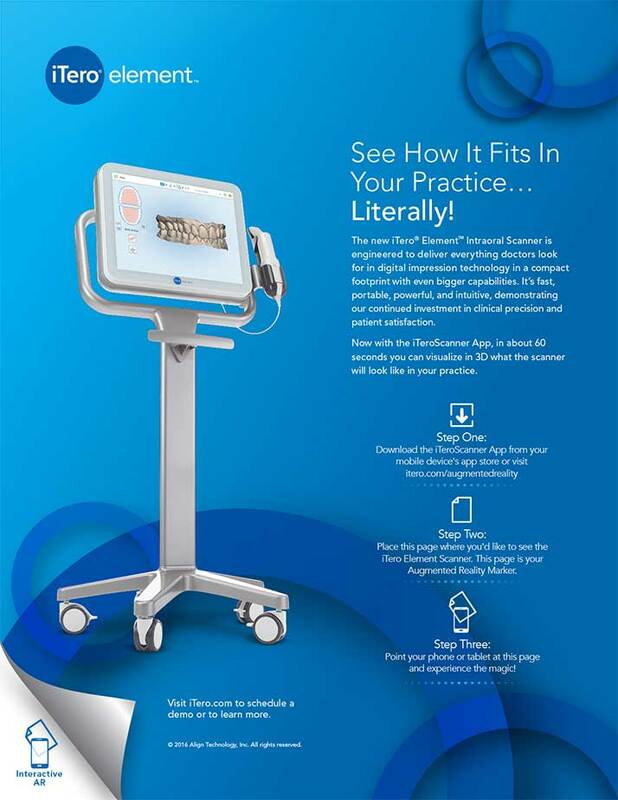 To demonstrate the reduced footprint of the new iTero Element Scanner, we created an augmented reality app that allowed users to use their smartphone or tablet to “place” the scanner anywhere in their operatory. This “medium is the message” approach not only positions the company as a tech-savvy leader, but drives home the key benefit while generating incredibly detailed leads for the sales team. Augmented reality, digital marketing, lead generation, conversion, sales support, strategic business thinking, mobile apps, banner and online, creative concepting, digital media.